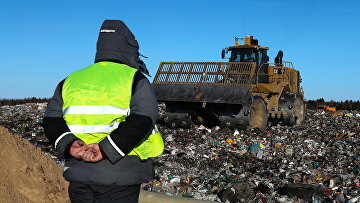 Authorities of Moscow Region’s town seek to shut down notorious Yadrovo landfill | Russian Legal Information Agency (RAPSI). MOSCOW, July 2 (RAPSI) – Authorities of Volokolamsk, a town located in the Moscow Region which had lately become notorious due to a garbage crisis, filed a lawsuit seeking the closure of the notorious Yadrovo landfill site leaking noxious gas, according to the Moscow Region Commercial Court’s records. The hearing has been scheduled for July 16.